After a hiatus of almost a year I am restarting the weighty topic again. I will be reposting a few earlier ones in order to refresh memory and for continuity.Following this new posts on this issues will be posted.Assuming that half truths are representative of the whole picture is dangerous. Being heavy and healthy is a possibility. But it doesn’t necessarily mean that being heavy is a healthy trend. Every person has a different individual ideal weight, hence making a certain BIM index, ideal weight etc as the sole parameter for weight loss is unrealistic. 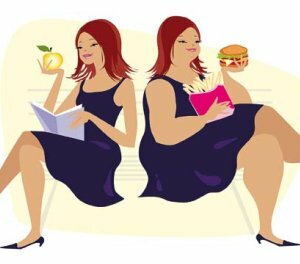 It is true over obsession with weight has lead individuals towards adopting unhealthy and unrealistic means to loose weight. Weight paranoia has been the major reason behind new physiological and psychological ailments, including deceptive body image. At the same time endorsing heaviness, or normalizing heaviness in order to cure people of their fixation with thinness, is synonymous to brewing fresh trouble, of a different dimension. Educating individuals about healthy life style, balanced eating, benefits of regular exercise is crucial. There are never any short cuts for acquiring a lean and healthy body. When aiming for weight loss the focus should not be to become thin but rather to become fit. Being trim is a part of the package. The quality of the item inside is bound to suffer when emphasis is put merely on the wrapping. So is it with our body. The health of the mind and body should be compromised while aspiring for weight lose.